Are you as excited that it's Saturday as I am? I have to say, I am so thankful for Saturday naps, college football, and the leaves changing colors. We've already been in school for around ten weeks and it feels like we just started yesterday. We are moving so fast that sometimes I forget that it's okay to slow down a little. So, last week I slowed down a little. I looked to see what we were covering on our Scope and Sequence and it was non-standard measurement. Well, and honestly, I looked at our math series and most of it wasn't that exciting. 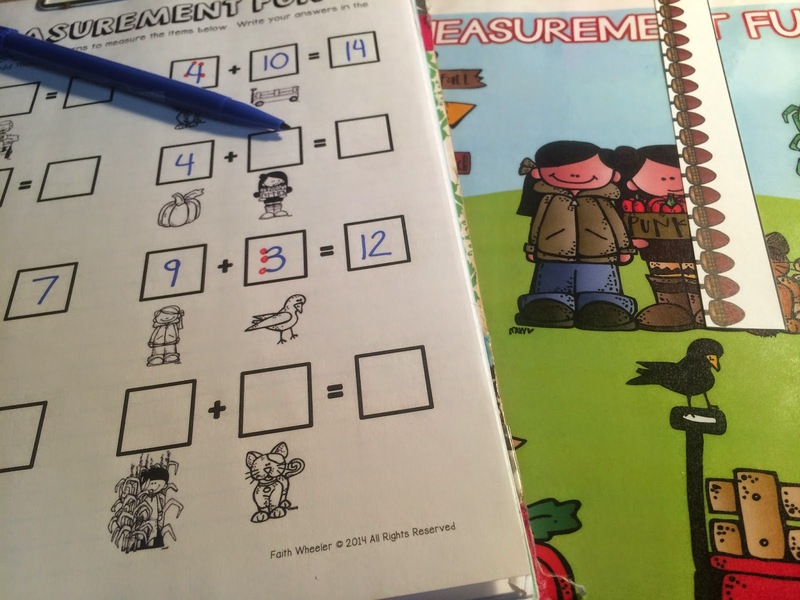 You can do so much with measurement, so spending a week doing workbook pages just didn't seem like fun. 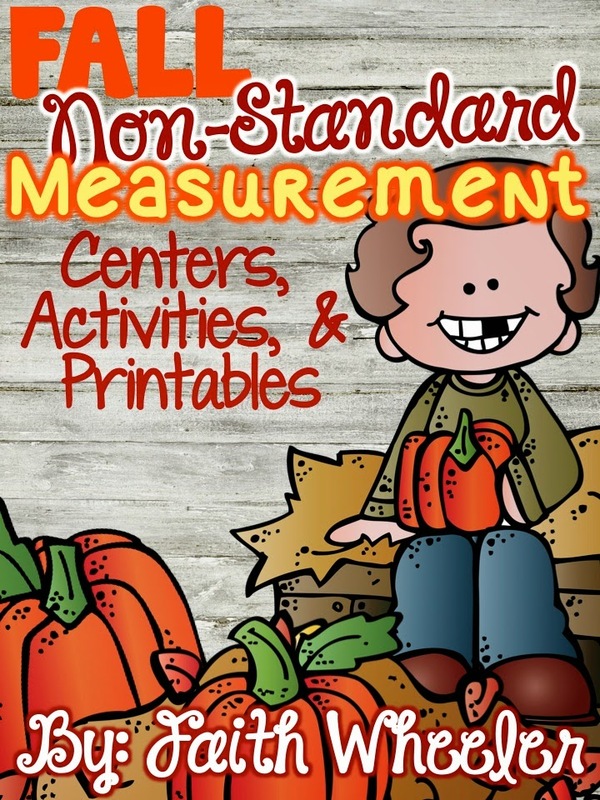 So, I decided to cover the portions of our math series I thought my kiddos would need and spend the rest of the time letting them do non-standard measurement centers. It was the best decision I could have made. 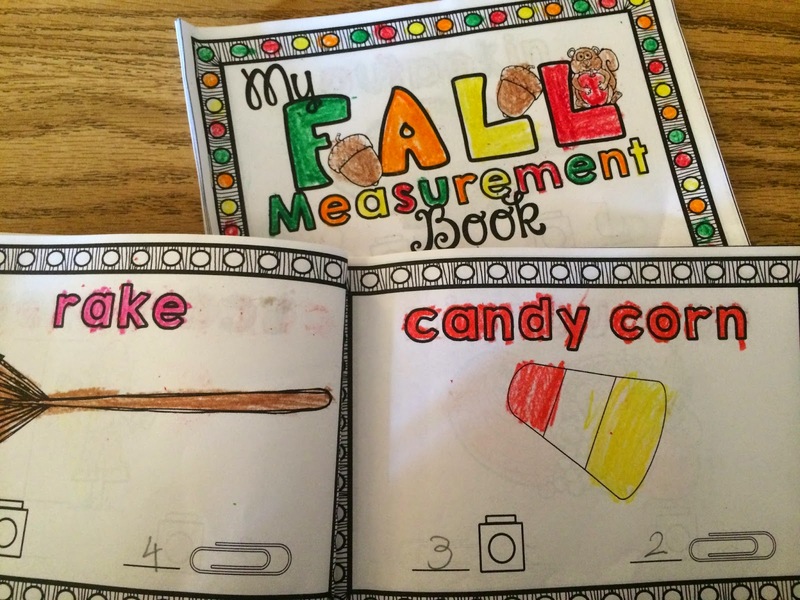 We made measurement books, graphed what we were measuring, used our Activboard to measure items, and we did a shorter/taller activity. Everyone was on-task and I think one of the days we even forgot to take our restroom break before specials. The best part about measurement is you can really use any items. 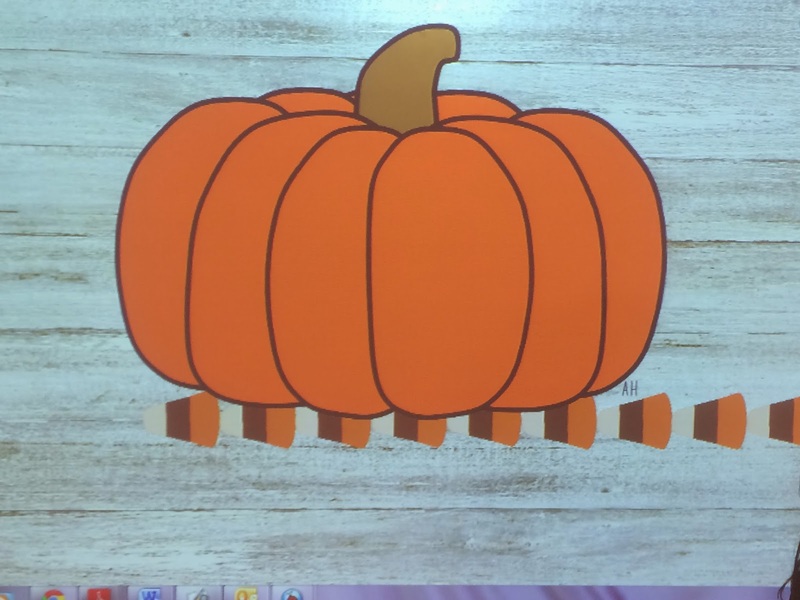 We stuck with Unifix cubes and paperclips, but I've used giant paw prints, leaves, markers, and other items to measure more than once. Here are some of the pictures I took of our centers. The last picture is a center I added after the week was done. 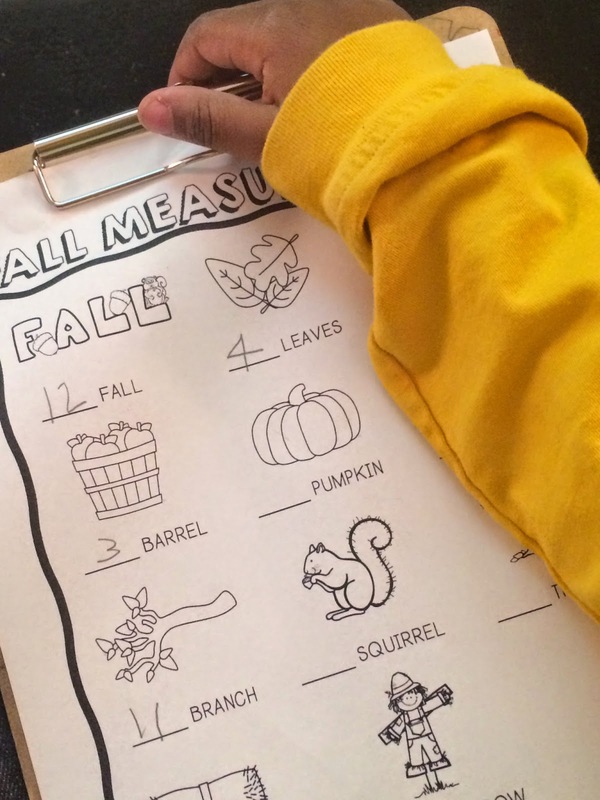 My higher kids like things a little more challenging, so I created this activity to challenge them a little more. 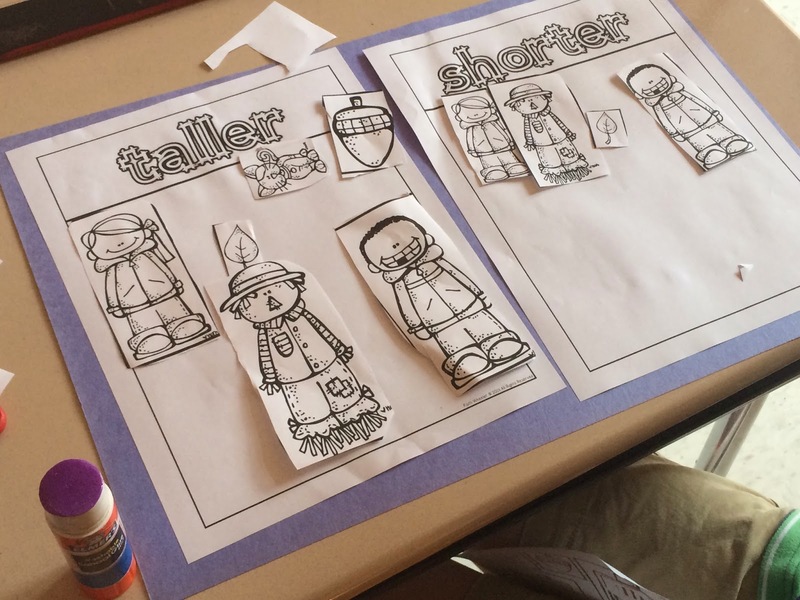 I also wanted an independent activity for the kids that finished quickly. One thing I would suggest is make sure you pull all the materials ahead of time and have the supplies sorted into each center group. I use these carts to organize my centers. 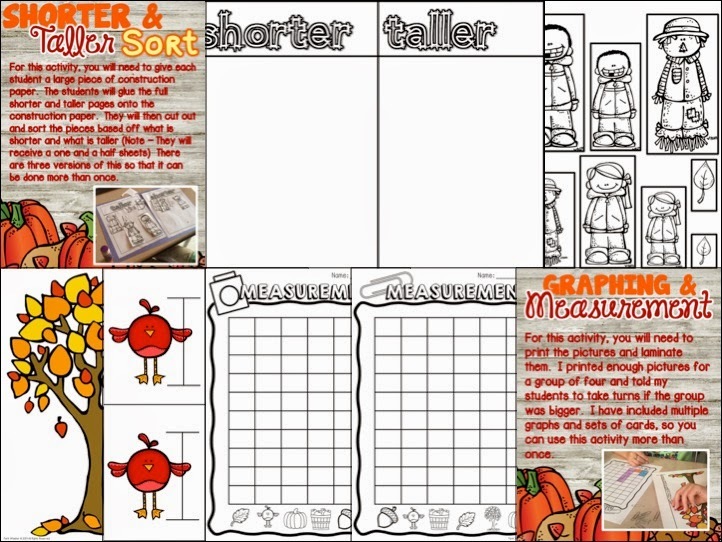 The one on the left is for word work and the one on the right is for my math centers. This way, all I have to do is pull out a tray of items and we are ready to go. The top trays (1-5) have extra centers for early finishers. They usually include dice games, flash cards, or other fun, individual activities. 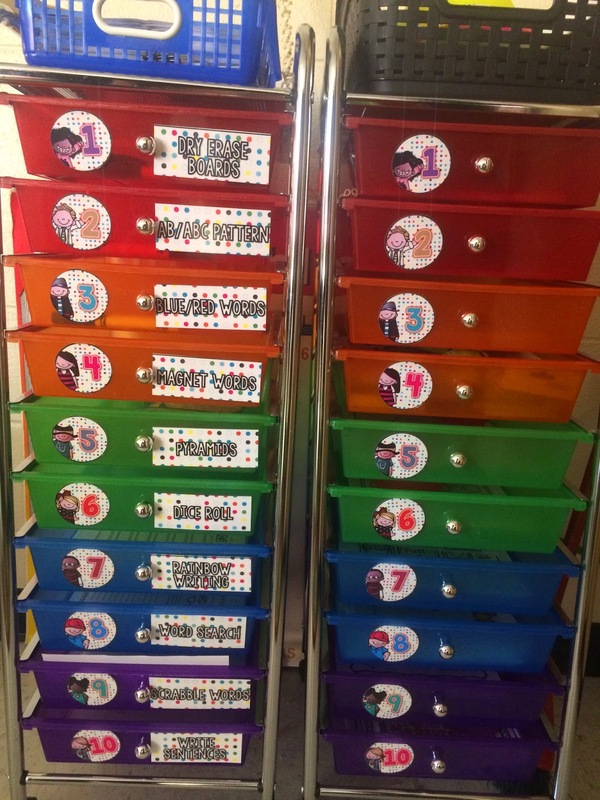 The bottom trays (6-10) have the group centers. Since the trays pull out, I just pop out the tray and put it at the group. Oh, and one quick tip... I got these carts at Sam's Club before school started for around $25 each. You can also get them on Amazon.com for around $30 each. My teammate saw them in a magazine this past week for $95 each, so I wanted to make sure you knew you can find them MUCH cheaper than that. Another thing I do to try to help them run smoothly is I appoint a captain for each group. The captain is the only one that can come ask me questions. 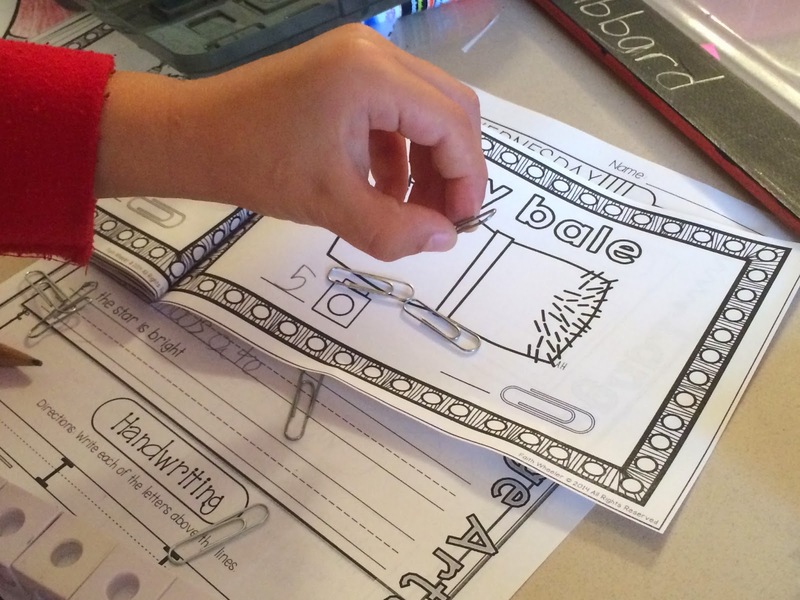 It helps a lot because usually while all the kids are working on centers, I try to pull my students that are struggling. They do the centers, too, but by pulling them, I can see where they may need some extra help. 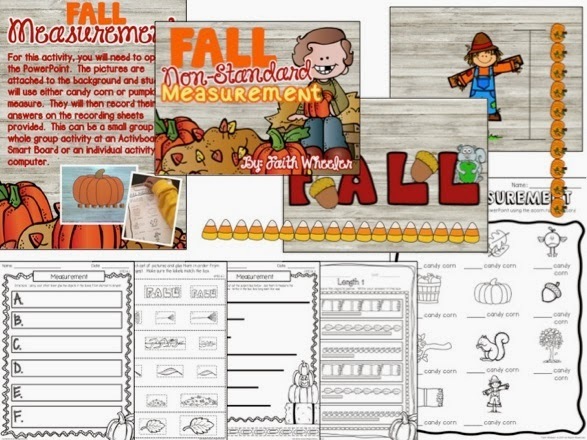 If you are needing measurement centers, be sure to check out my Fall Non-Standard Measurement packet. 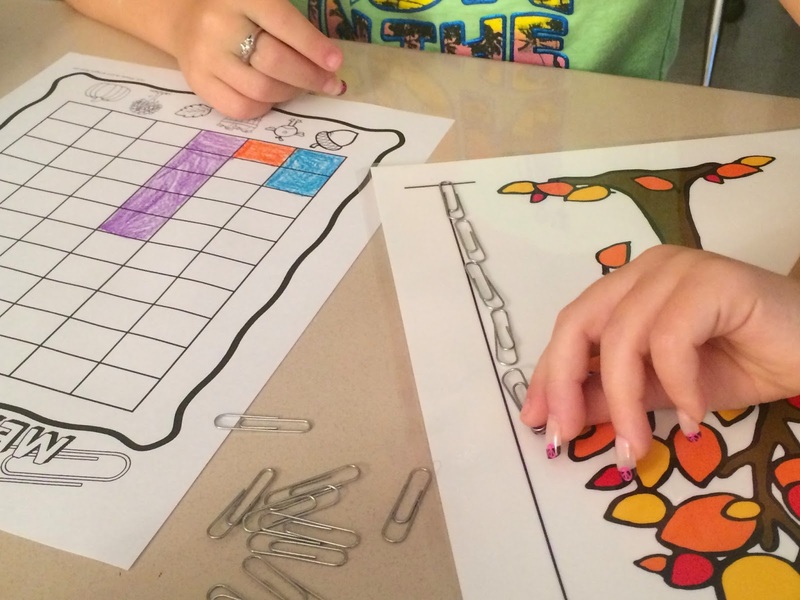 It includes centers, activities, and printables. 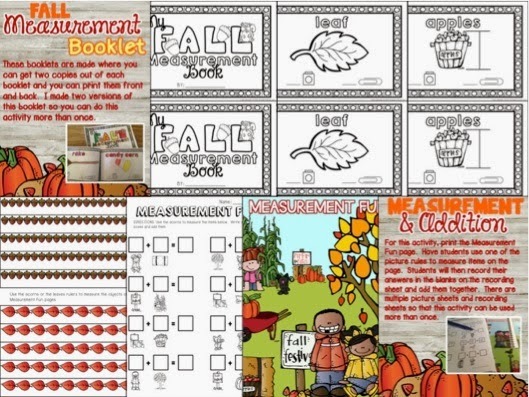 It also includes several versions of each center, activity, or printable so that you can use the set multiple times in a year. I enjoyed reading about your center management. The numbers/labels on your cart are so cute! 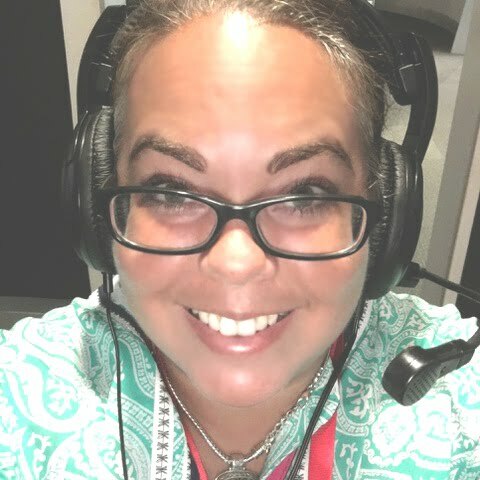 Do you have those in your store or offer it as a freebie on your blog?